Fall weather always comes with a change of color in our wardrobes. We switch out our white dresses, bright prints and pastels for blacks, browns, navy and neutrals. One of my favorite ways to bring color to a fall wardrobe is a bright coat. I've always been a fan of light pink, so I splurged toward the end of the last winter season and bought myself this coat from J.Crew. Different from the typical darker colors of fall and winter outerwear, it's the perfect pop of color. Me too! Pretty obsessed. 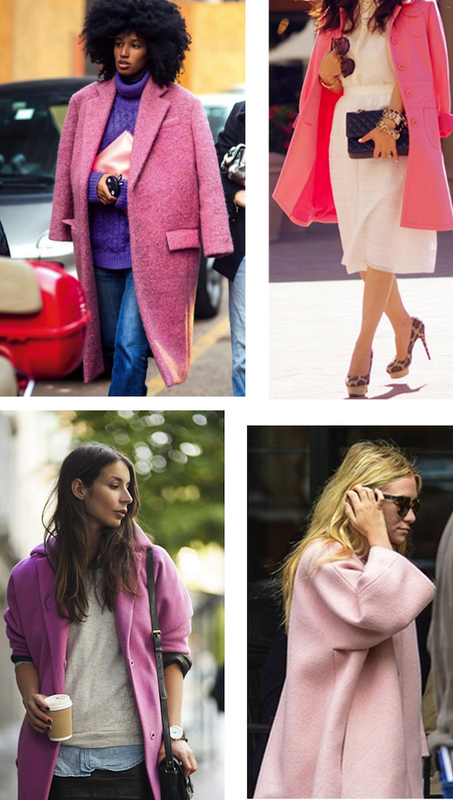 I hate a hot pink pea coat but I want a longer pale pink. So pretty. I know this is such a fun trend!! I want one now. 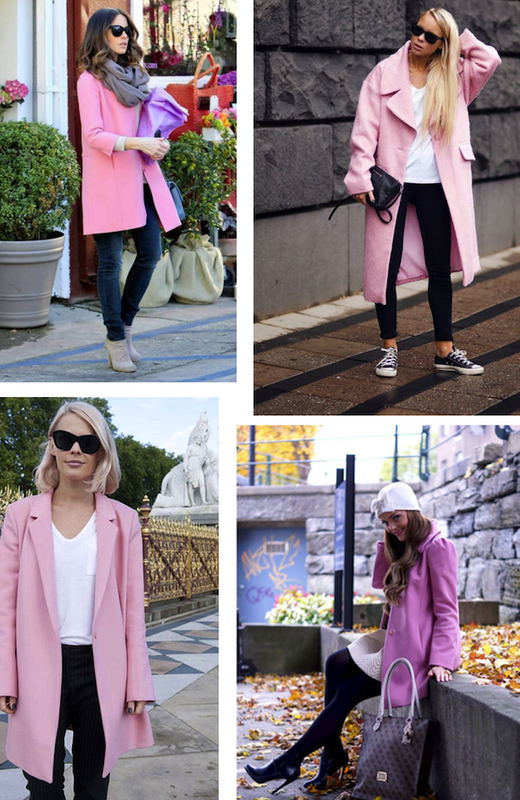 I really impressed to the design of this pink coats.It have the amazing looking and attractiveness. Pink is the most favourite colour for every girls.So that many costume designers choose the pink colour with attractive design for the dress to impress the girls. In the visual arts, style is a "...distinctive manner which permits the grouping of works into related categories." or "...any distinctive, and therefore recognizable, way in which an act is performed or an artifact made or ought to be performed and made." It refers to the visual appearance of a work of art that relates it to other works by the same artist or one from the same period, training, location, "school", art movement or archaeological culture: "The notion of style has long been the art historian's principal mode of classifying works of art. By style he selects and shapes the history of art". Style is often divided into the general style of a period, country or cultural group, group of artists or art movement, and the individual style of the artist within that group style. Divisions within both types of styles are often made, such as between "early", "middle" or "late". In some artists, such as Picasso for example, these divisions may be marked and easy to see, in others they are more subtle. Style is seen as usually dynamic, in most periods always changing by a gradual process, though the speed of this varies greatly, between the very slow development in style typical of Prehistoric art or Ancient Egyptian art to the rapid changes in Modern art styles. Style often develops in a series of jumps, with relatively sudden changes followed by periods of slower development. a great information about ethnic wear such as Wholesale Bollywood Designer Salwar Kameez,Pakistani salwar kameez, Printed Salwar Kameez Collection, Printed Salwar Suits and much more.